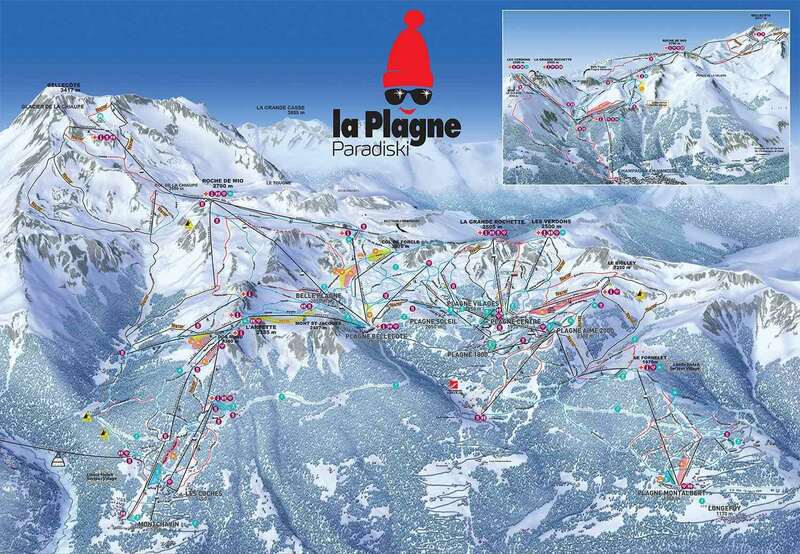 With fantastic accommodation, jaw-dropping scenery and the amazing Plagne Centre and Plagne Bellecoate areas nearby, La Plagne Village is a fantastic location for a ski holiday in La Plagne. The village here boasts a more traditional style with amazing hospitality and a laid-back atmosphere. Plagne Soleil and Plagne Villages are the smallest resorts in the La Plagne domain. Even though they are small they are high altitude benefitting from excellent snow conditions and just a short bus journey from La Plagne centre. Plagne Villages has several restaurants, ski hire shops and ski schools as well as a Spar and Tabac but for any other shops and entertainment you will need to visit Plagne Centre or one of the other larger villages in resort. It is possible to walk to Plagne Centre, walking there is downhill but walking back is up hill so you may wish to wait for a bus on your return journey. The ski season here usually runs from early December to late April and snow cannons are used in several areas to ensure strong conditions regardless of the weather. La Plagne Village ski resort is also part of the Paradiski ski area opening with up to 3,250m of glacier terrain and pistes that go down to 1,250m, there are plenty of options for skiers and snowboarders no matter whether you’re a beginner looking to advance their skills or an expert looking for a new challenge. It is very easy to get around the resort, with chair lifts taking visitors to the different routes, both on and off-piste. On top of its amazing routes, there is a 1,500m Olympic bob run with 19 bends that truly showcase the spectacular scenery. Plagne Village is a quaint area with a few bars and restaurants to choose from. The atmosphere here is peaceful and laid-back, making a great place to unwind after taking on the slopes. 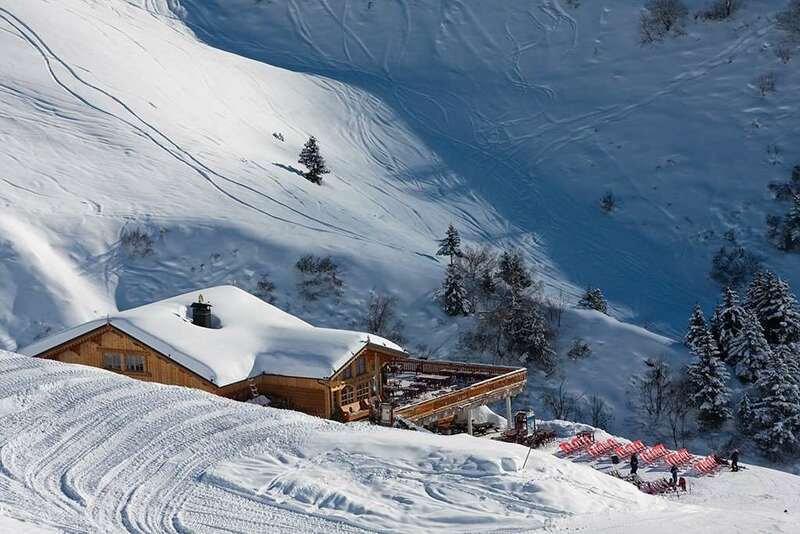 La Casa de L'Ours has a large sun terrace and well priced local meals and Le Grizzli, at the bottom of the village, has a traditional, cosy chalet style with a large fire that serves delicious Savoyard dishes. Transport to Plagne Centre by bus is also available for those who want to explore what else the region has to offer. There are also massage therapists across the town, while Pamper Off Piste provides an array of therapy treatments to nurse any aches and pains from skiing. The closest airports to La Plagne Village are Chambery, which is roughly 2 hours away, and Geneva, which is about 3 and a half hours away by coach transfer.